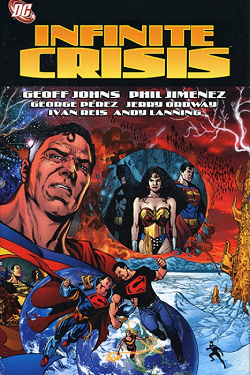 Infinite Crisis | Robert E. Wronski, Jr. 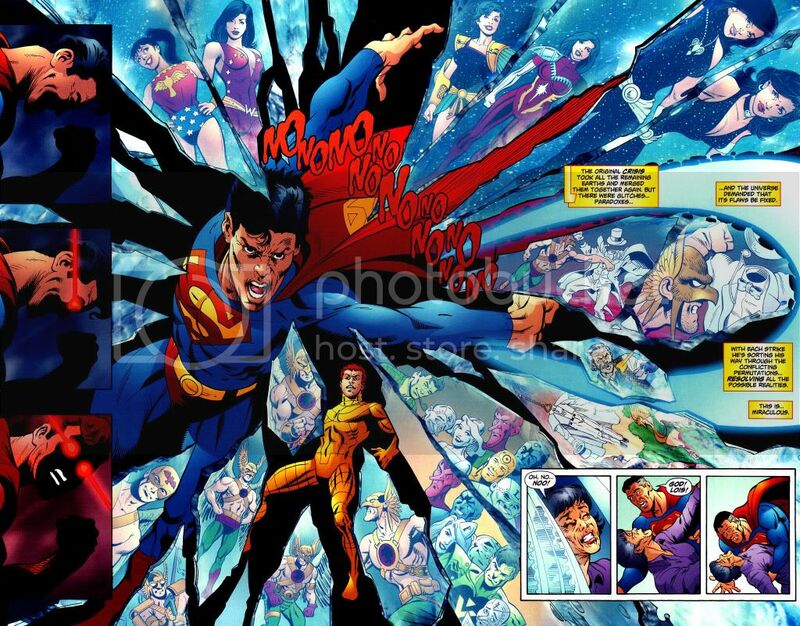 The story opened and closed with Superman of Earth-2 being trapped on Earth-2, trying to break the barriers between worlds that he once was able to do with ease. In 2005, DC brought us Infinite Crisis, but this was a series that had numerous lead-in series beginning in 2004 at least. Way back in Crisis on Infinite Earths, we saw Alexander Luthor of (pre-Crisis) Earth-3 take Superman and Lois Lane of Earth-2 and Superboy of Earth-Prime, worlds that no longer existed, off to some “paradise” after they had been trapped in the anti-matter universe. In Infinite Crisis we learned that they had actually been trapped in some pocket realm limbo, where they could view the new reality that replaced the old multiverse, but were trapped there. Superman had tried to break through the barrier, as portrayed in the Kingdom, unsuccessfully.